ShapeNet is a cloud-based gym management solution for small establishments to multi-site enterprise fitness centers. It provides users with an end-to-end platform that covers 24-hour club management, membership management, POS, sales, and more. In this article, we cover user reviews. Ready to get started with ShapeNet? Request a demo. Users who gave ShapeNet a positive review said that it is easy to use and has all the essential tools needed to run a gym. Some users also commended the ease of set-up and excellent customer support. One user who gave ShapeNet a positive review on Capterra said that the software is user-friendly and has many essential and customizable features depending on the needs of a business. He said that they use the platform end-to-end including member database management, check-ins and payment history, and recurring billing payments. Users who gave ShapeNet a negative review said that the app runs slow at times. They also said that the user interface looks outdated, unlike other tools that have a more sleek and sophisticated dashboard. One user who gave ShapeNet a negative review on Capterra said that while the program works well, the only issue that they regularly encounter is the slowness of the system, which affects their team’s productivity. ShapeNet doesn’t publish its pricing information online. Fees for similar providers have monthly plans that cost around $30-$100 for apps with basic functionalities, while more extensive ones cost around $500-$1,000. Pricing depends on the number of gym members, number of locations, and features included. Ready to get started with ShapeNet? Request a demo. How does ShapeNet enable business owners to engage with their members better? ShapeNet has a branded mobile app that provides gym owners a convenient platform to easily communicate and engage with their members. It enables them to announce promotions, send notifications and reminders, announce class schedule updates, and more. 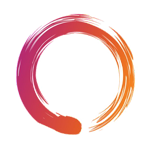 How can ShapeNet help users streamline their overall operations? ShapeNet is completely cloud-based, allowing users to run their entire operations digitally, without the need for manual paperwork that is usually time-consuming and leaves a lot of room for errors. Through the platform, all important documents and information can be stored in a single place — contracts, agreements, waivers, customer profiles, financial documents, equipment inventory, and vendor contracts. Not sure if ShapeNet is the right fit for you? 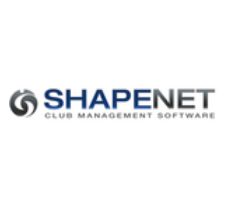 Read our reviews of all top gym management software or check out one of these three ShapeNet competitors.